❤️ How Can You Live Heart Healthy in February? Last week we had such an incredible time celebrating TransFit’s 3rd birthday! We loved your TransFit Spirit— you came dressed up and ready to work hard every day! We hope everyone was able to join us in the studio to celebrate and experience the fun! Can you believe it’s already February? February is all about living heart healthy and committing to everything with our WHOLE HEARTS! This month, we have an amazing deal for you all! You can get 10% off ALL one-on-one sessions with the code “WHOLEHEART”. Make sure you take advantage of this and schedule your session on our FREE app now! Just like every month here at TransFit, this month is full of awesome events! This month’s lunch and learn will be held on Friday, February 22nd from 12 - 1 pm and will feature a self defense class! We will have lunch from The Pine. The cost is $15. Sign up on our app! 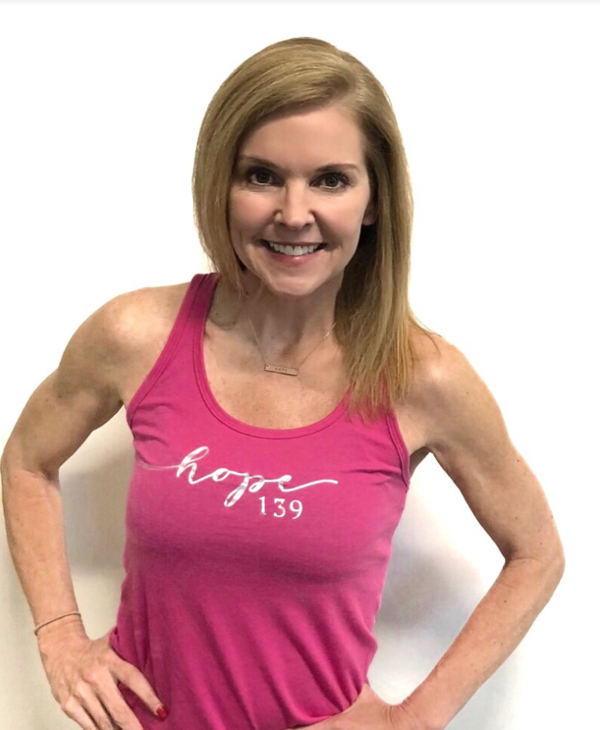 HIIT is such a great workout for heart health! Revive your metabolism with these fun, upbeat cardio workouts every Tuesday and Thursday at 9:30! Pam will continue to lead us through the study of Esther this month! These sessions are from 12 - 1 on Thursdays. Please join us as we learn how to have the courage to commit! We are still having our TransFit Girls sessions every Wednesday from 4:15 - 5:15! You can sign your girls up on our app! 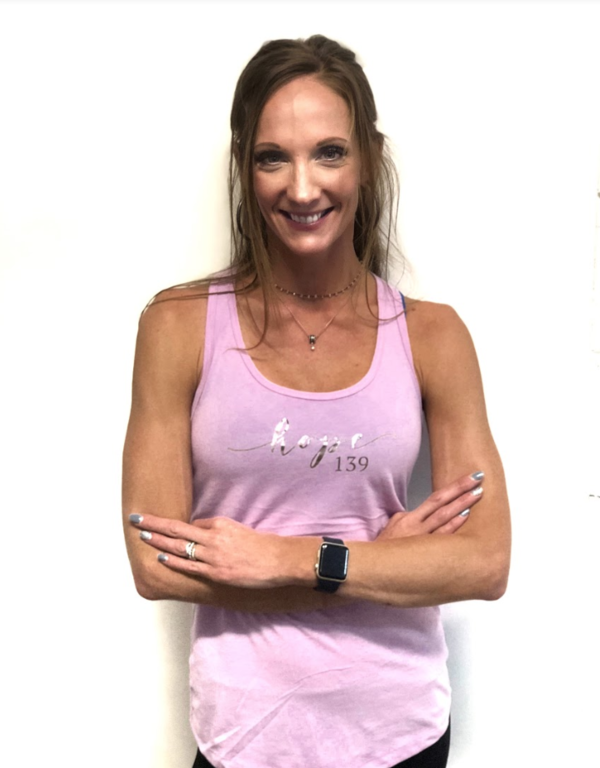 Meet our new personal trainer, Eliza Harris! “Hi TransFit Family! My name is Eliza Harris. I am a recent graduate of the University of Alabama (I know... I love the Bulldogs too) where I studied exercise and sports science with concentrations in fitness, nutrition, and coaching. While at UA, I spent 3 years assisting with the strength and conditioning programs of various sports. Most recently I worked with the dance and gymnastics teams. I also earned my certification as a strength and conditioning specialist through the NSCA. My love for exercise started at a young age. I was a competitive gymnast for 7 years and then ran track for 3 years in high school doing the triple jump, long jump, and hurdling. While in high school I began working a few hours a week at a gym where I taught a workout class to middle school girls as well as teaching gymnastics at the gym where I competed. In college, I found that I missed being an athlete but I started to truly realize my passion for fitness and coaching. 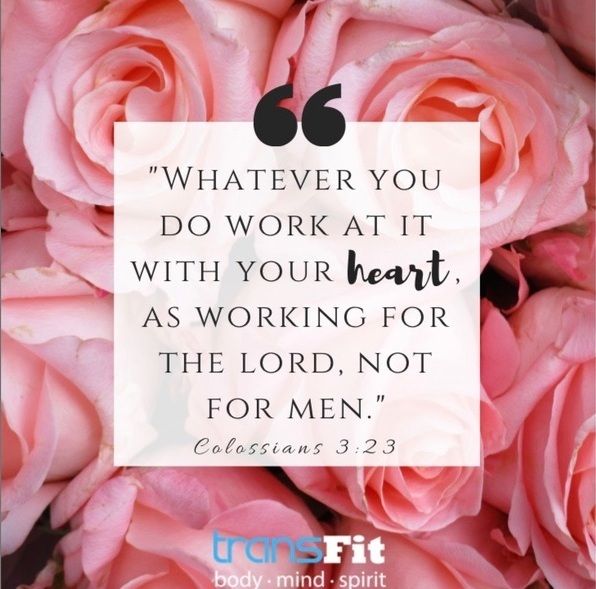 I knew that I wanted to pursue those areas as a full-time career, and the Lord has opened doors for me to make that a reality by working as a Personal Trainer at TransFit as well as a gymnastics coach. I know that exercise has made such a difference in my life, not only physically but in all areas and I hope to help bring that to anyone that I get to serve in personal training. 2 Timothy 1:7 reminds us, "For God does not give us a spirit of fear, but of power and of love and of a sound mind." That truth near to my heart and I hope to share my love of whole body health with you! 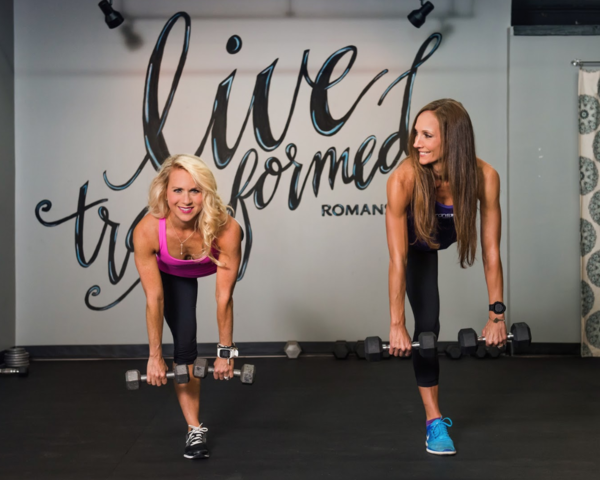 I will be in the studio teaching TransFormer and small group sessions and will be taking clients 1-1 or semi-private for specific goal achievement. I would love to help any young gymnasts, dancers, cheerleaders or female athletes of any kind get stronger for their specific sport. I have experience as a gymnast and a track athlete and have worked with athletes of various sports up to the college level. Whether high school, middle school or younger we can work to increase your sports performance or overall fitness through strength training and cardiovascular endurance training in a fun and safe way. Additionally, I would love to work with any college students to help you meet your fitness goals! If you haven’t tried our Transformer Plate yet, grab one after your next session! 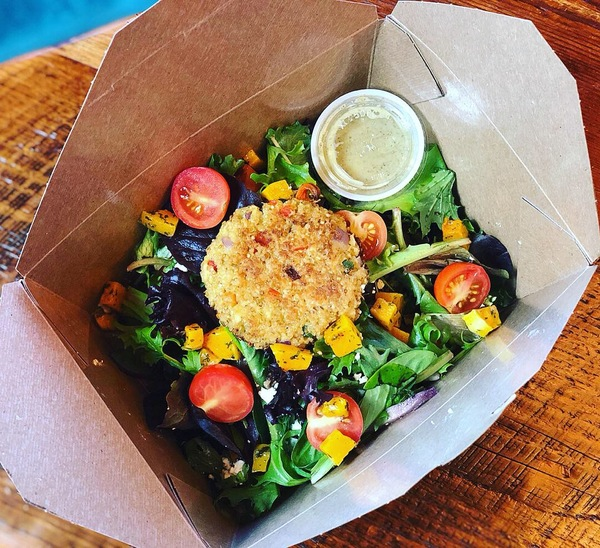 These delicious lunches are made by The Pine and have a delicious quinoa cake on top! They are $12 and you can pay with cash or we can charge your account. In honor of heart health, we encourage you to exercise for at least 30 minutes every day this month! This calendar helps keep you accountable when you write down your exercise each day and color in each box RED! When you reach the end of the month, you want your entire calendar to be red! You can download and print this calendar HERE or pick one up in the studio! How AMAZING is our new prayer space? We wanted to provide you all with a comfortable area where you can come and spend time with the Lord. You can also submit your prayer requests here. We are so blessed to share this space with all of you! We are so proud of you all for staying strong throughout January and we can’t wait to see you all live transformed in February! As always, you can sign up for classes on our FREE app! We are here to serve you! If you have any questions or want to schedule a one-on-one session, please email us at transfitathens@gmail.com. 🔥 The New HIIT Workout Will Transform Your Metabolism! 🎉 How Can You Celebrate Every Day?